I am going to add to Cummins (CMI) today. Cummins is below my cost basis and is an underinvested position of mine. 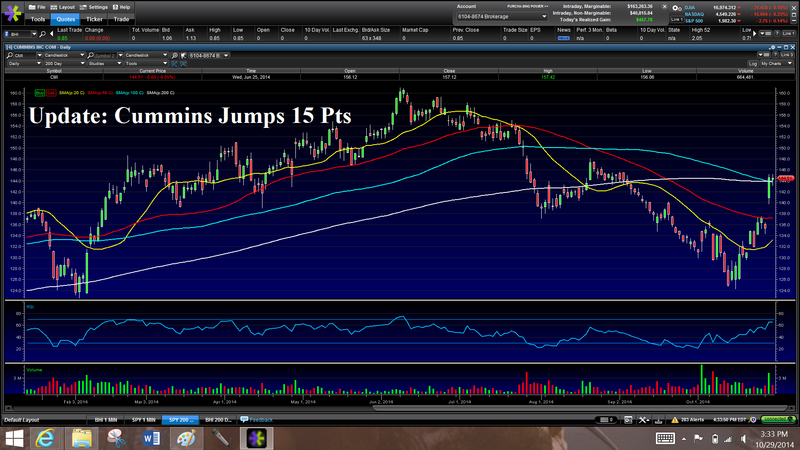 So, on the weakness today in CMI, I am going to add 17 more shares towards the close. Cummins will represent 5% of my total portfolio going forward (a full position). 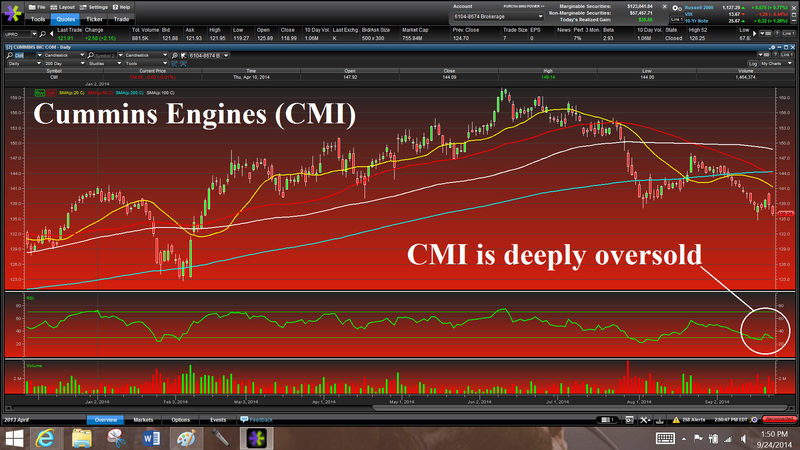 My only concern about CMI is that it is down on an up day. I don’t see why being that, even though CMI’s profits are definitely tied to materials, which have been getting killed lately due to the strong dollar, Cummins is a pure industrial play that portfolio managers have to own. 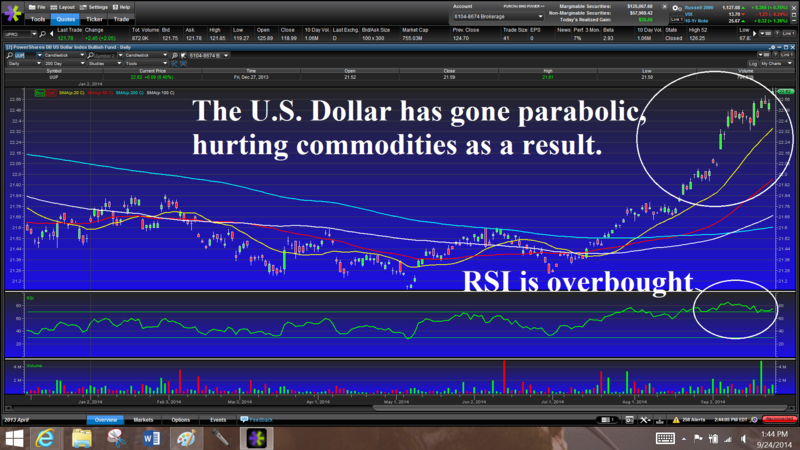 A strong dollar hurts commodities as well as U.S. companies who derive their profits from overseas. Portfolio managers need to own certain sectors of the market at any given time. 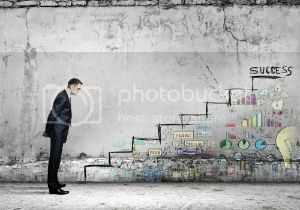 Right now, managers are accumulating industrials, for example, because they are cheap (Cummins trades at only 15x earnings, below the S&P 500 who trades at 18x earnings). Anything under 20 is considered fairly cheap, if the growth is there. Industrials are also attractive at the moment because they are benefitting from the manufacturing renaissance currently taking place in the U.S. and work well in a rising-rate environment. Last, but not least, Cummins just signed an agreement with Union Pacific to supply a new set of eco-friendly diesel engines. Due to a new engine emissions law, that will be enforced in 2015, trucking and rail road companies have to upgrade to cleaner engines. So, for all of these reasons and more, I am filling out the position in Cummins. Cummins Engines reports a blowout quarter and bounces back with the overall market.